There are days when a fun activity is necessary - kids need to practice specific skills, and they need a break from lecturing and practice worksheets. My students love playing Bingo! But, I don't like all the time that has to be spent making the bingo cards (it takes students forever to make their own) - or if I make them, it takes forever to make the cards and then laminate them for future use. Lucky for me, one of my colleagues introduced me to the website Bingo Baker. 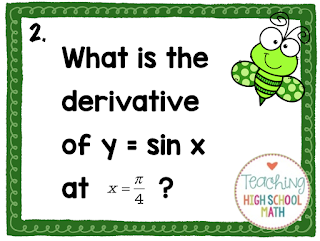 Here is the beginning of my Antiderivative Bingo Game. Notice that I was able to add a graphic to the center space easily - I just dragged and dropped from my computer. 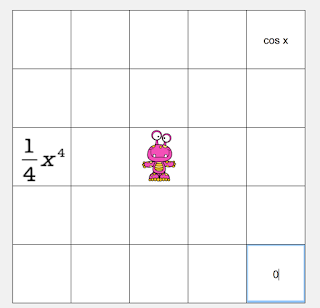 If you want to add something that is easily typed like cos x or 0, you just type it right into the square. 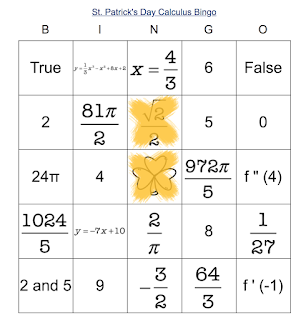 Unfortunately, Bingo Baker doesn't seem to have an equation editor. However, you can get around this if you have an equation editor that you can save your equations as pictures. Then you can drag and drop those into your card. Now to the best part! Bingo Baker will automatically generate different bingo cards for you! 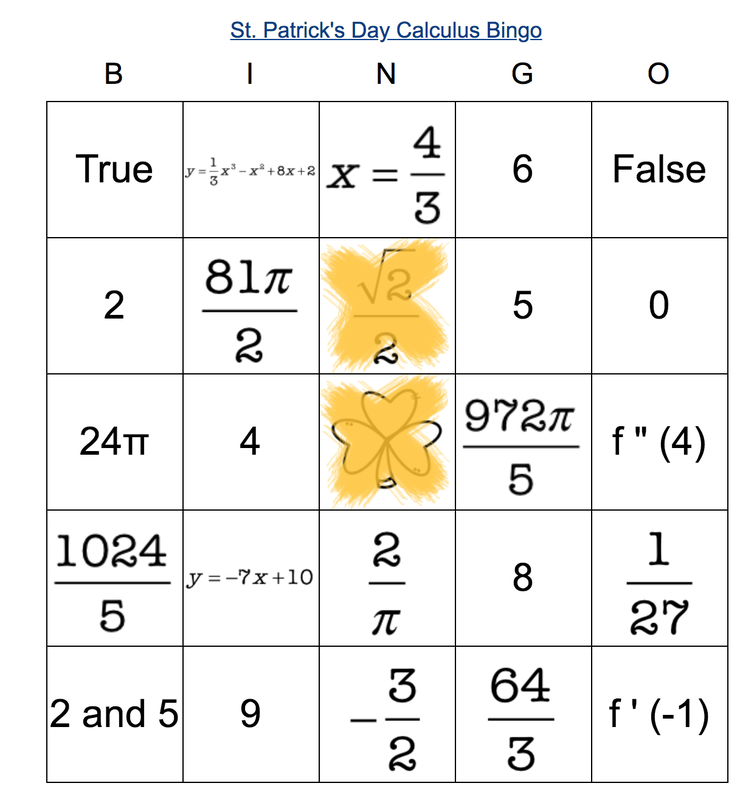 You can give the class a link to follow and each student will get a different bingo card right on their device. As you can see, if students push generate card, they will get their own card pulled up right on their screen. Then, I project the questions on the board. For example, here is a first question for my St. Patrick's Game. Then all a student has to do is touch the screen where they find the answer to this question. 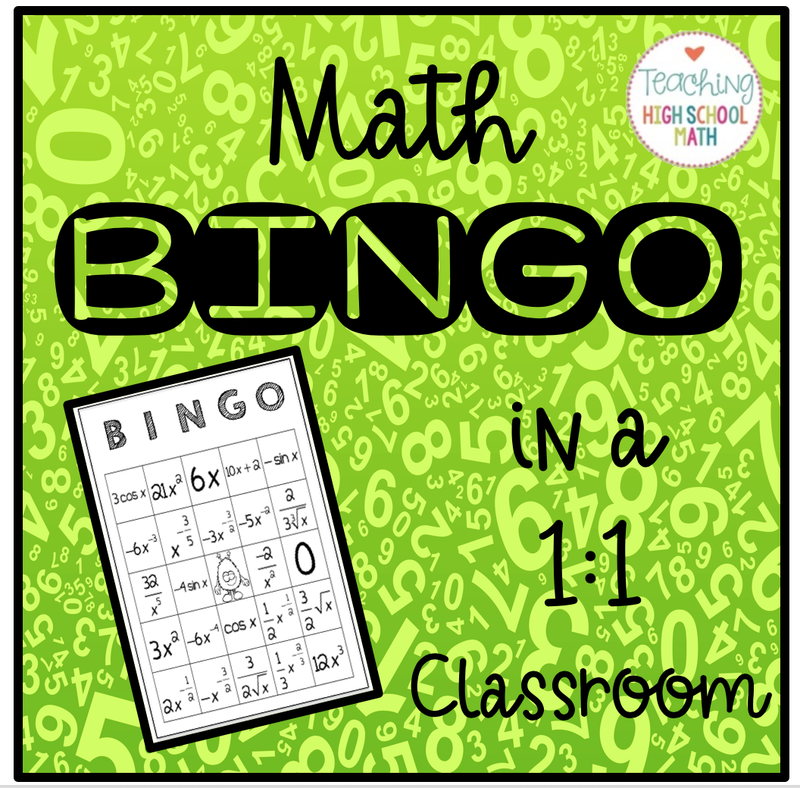 If you are interested in any of my premade Bingo games, check out the links below...or have fun making your own bingo game!